There are many options … but none really compare to Pelagic! 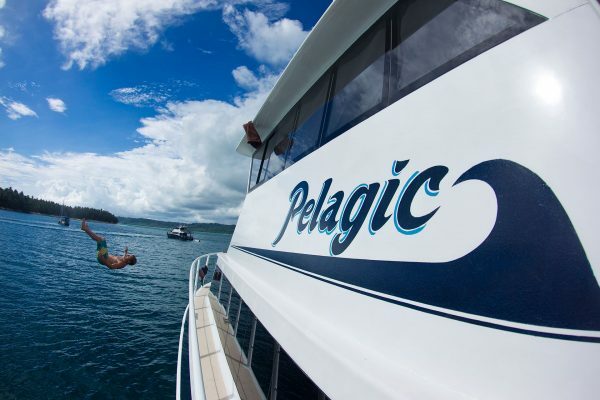 The Pelagic was designed and crafted at Fine Entry Marine shipyards in Western Australia for the sole purpose of surf exploration … the result was a commercial grade 65 foot, aluminium mono-hull vessel, outfitted for high speed cruising, deft manoeuvrability, complete luxury and stalwart seaworthiness. 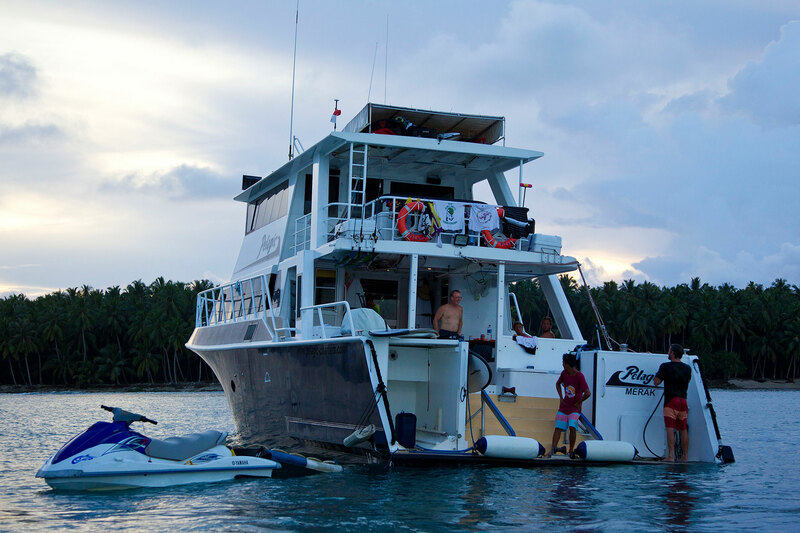 Our mission is to provide, any surfer, intermediate or world champion, on any given trip, the potential to score the best waves of his or her life … with 13 surf seasons in the Mentawai Islands and surrounding areas, intimate knowledge of the areas, a five star crew and highly experienced western Captain our guests are treated to an exceptional voyage to the ultimate surf destination in comfort and style. 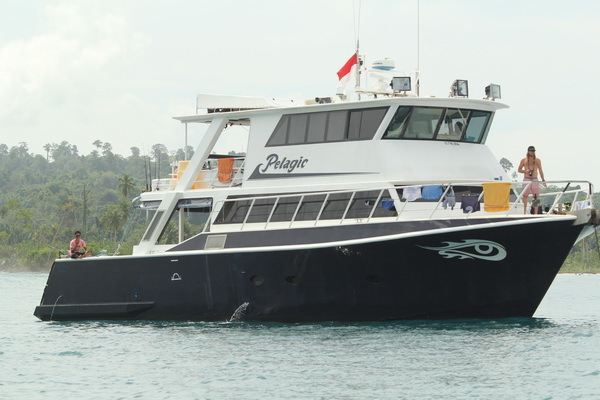 Built in Western Australia by Fine Entry Marine and launched in 2002, the 20m Pelagic offers the discerning surfer the ultimate Indonesian experience. 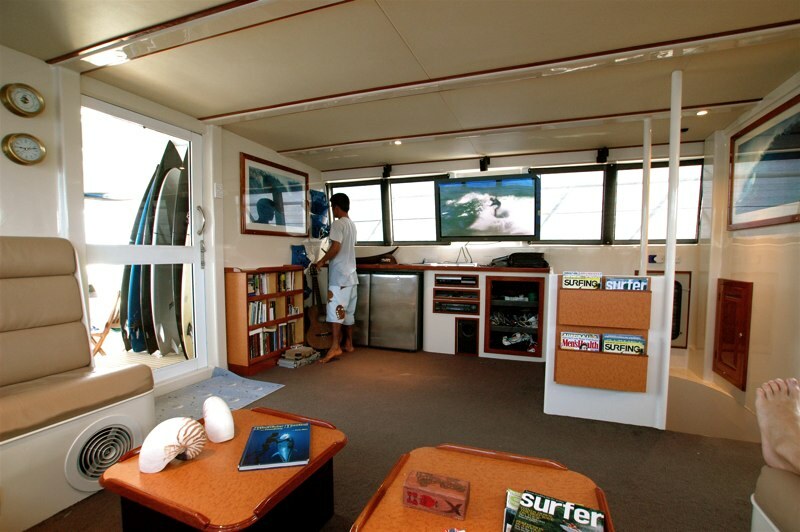 The vessel incorporates surf-specific design, drawing on a wide range of experience in the field. All specifications comply with Australian USL survey codes. 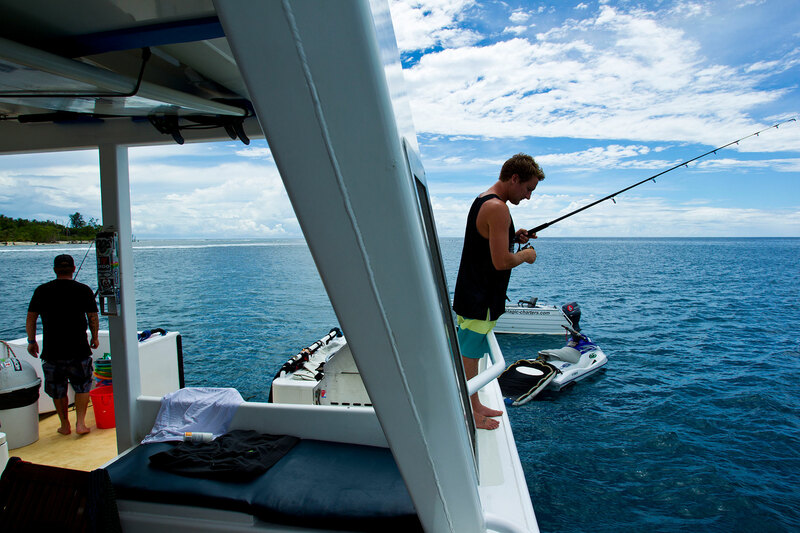 Powered by twin turbo diesel 680-horsepower Yanmar engines, the Pelagic has a cruising speed of 20 knots and a range of over 900 nautical miles. This combination generates unparalleled opportunities. 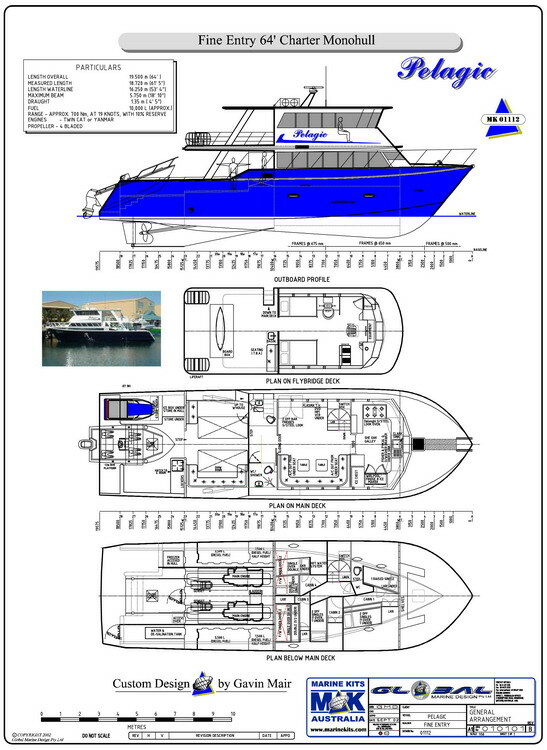 The twin-keeled, mono-hull design was developed in the extreme waters off the coast of Western Australian and gives the highest level of seaworthiness. The boat’s performance is matched only by her luxury and wide range of amenities. 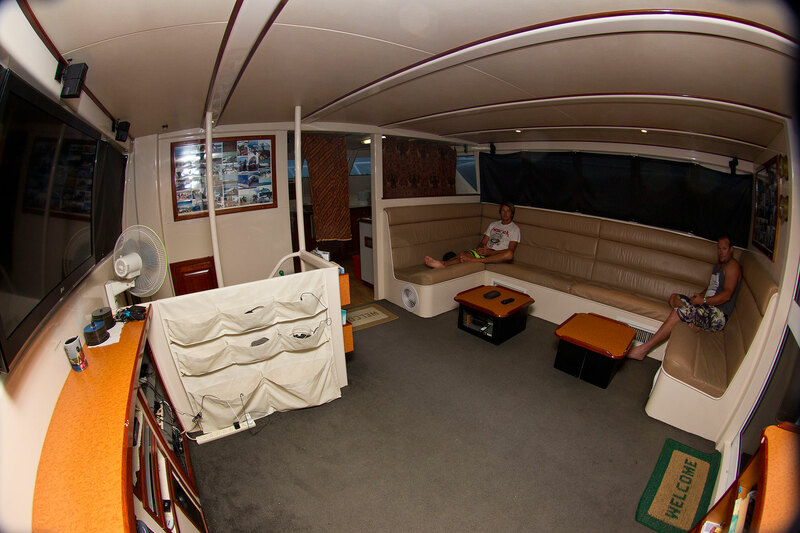 No matter what the sea state, crew and passengers alike will be treated to a smooth, safe and comfortable ride. FRESHWATER – Two Village Marine 400 gallons per day water makers – 400 gallon water storage with mains pressure. AC POWER – There are two Generators each supplying the vessel wit 240/415 power throughout the vessel. ACCOMMODATION – The Pelagic sleeps max 8 guests in 4 cabins, each with 2 bunks per cabin – comprising of 2 queens and 6 twins – with all cabins fully ducted marine air-conditioning. 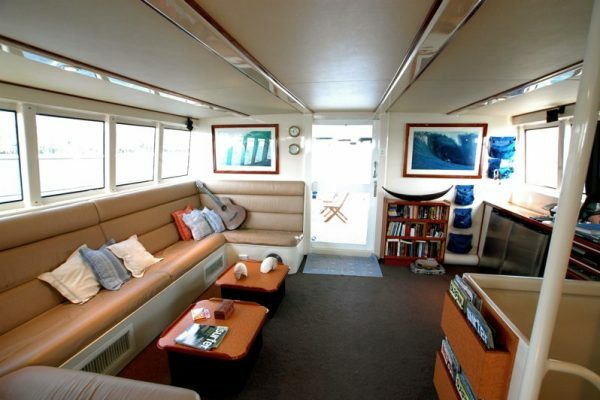 An ensuite is located off guest sleeping deck with 2 full size bathrooms located on the aft deck. 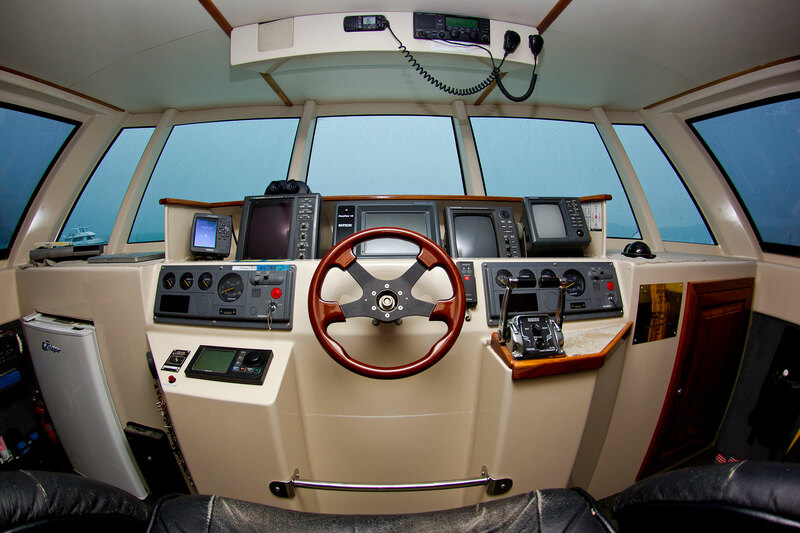 Captain and crew have separate cabins in wheelhouse. SALON – The salon has Bose surround sound along with a 50 inch flat screen TV there is a DVD Player, VHS and CD player. Opposite the TV is a full wrap around lounge seating for 9. 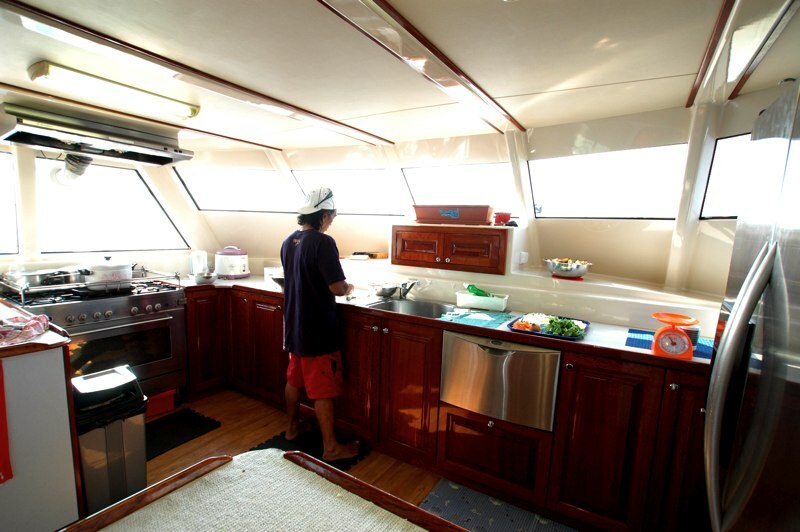 GALLEY – The galley is a full service galley. Chef quality stainless steel oven with gas cook top. Full “house style” refrigerator/freezer with a cabinet freezer for extra freezer space plus walk-in cool room below deck. DINETTE – There is outside eating area with settings for 9. There is clear weather screening 360 degrees around the dining area in case of weather. 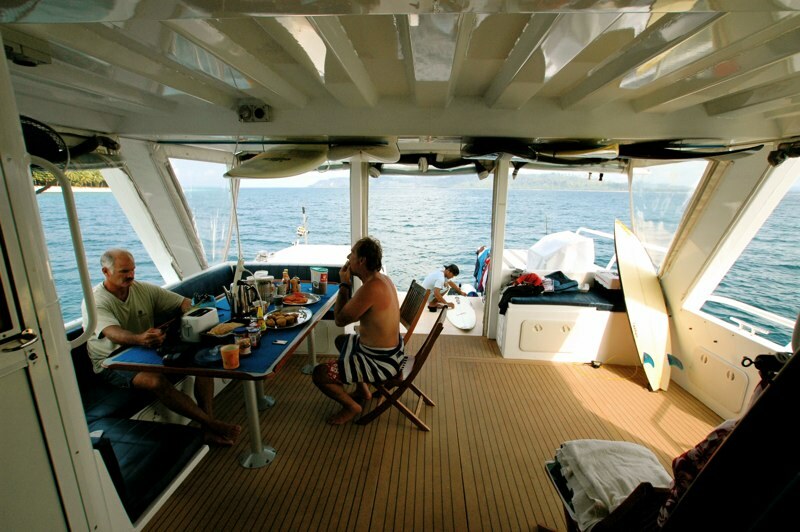 AFT DECK – The aft deck is open space. Jet ski compartment and a ramp for the skiff to be carried. When the skiff is off there are stairs to the swim step to ingress into the water. Two board rooms accommodating 12 boards plus separate board locker. TENDERS – 18ft skiff with 2014 80hp yamaha with 2014 Yamaha wave runner , 2015 G board rescue Sled. Located about 80 miles west of Indonesia’s largest island, Sumatra, the Mentawai Islands are the home of some of the best and most consistent surf on the planet. 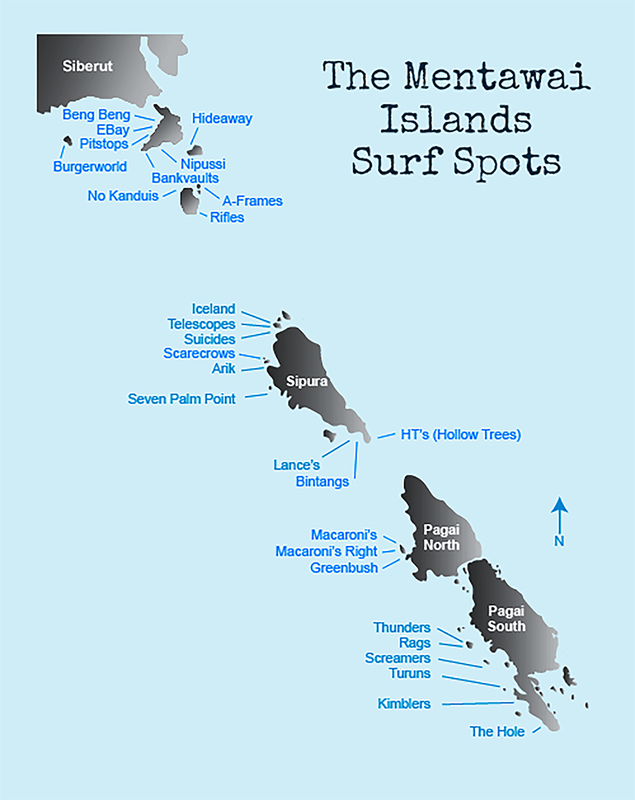 Because of their exposure to swells in the Roaring 40s, the sheer volume of surf spots in the region, and the remoteness of the islands (some of which are uninhabited), the Mentawais have become the premiere surf destination. The reason for all the hype: simply, the surf. Rights, lefts, big waves, playful points, open shoulders, and racing tubes … from three feet to ten, the Mentawais has it all. 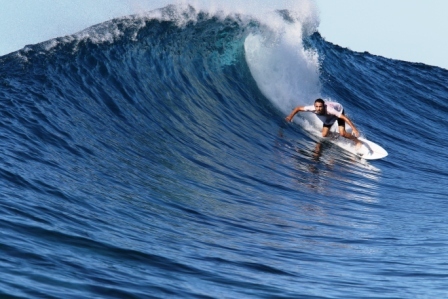 Still packs a punch in the Mentawais, and October/November are considered consistent months. But as December matures, swells die off, as do the surfers – it can be prefect ‘layback’ surfing. 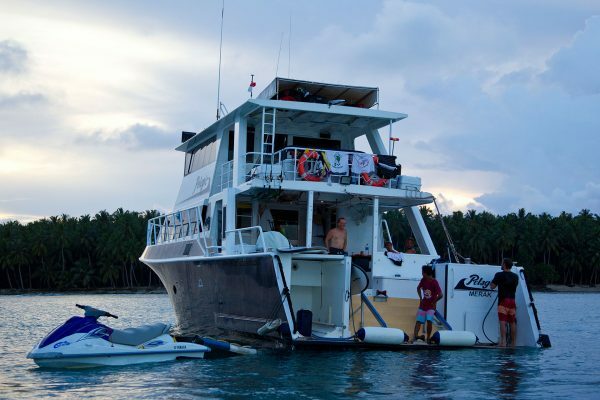 Is downtime in the Mentawais, when most the boats go in for repairs and rest. While there are still great waves available, the winds tend to be less favorable, and much of the Indonesian surf community relocates to Bali. Is when the big weather machine at the bottom of the world switches on and starts showering the Mentawais with south and southwest swell energy. Though fall isn’t the most popular time it can offer prefect waves with very few surfers in the water. 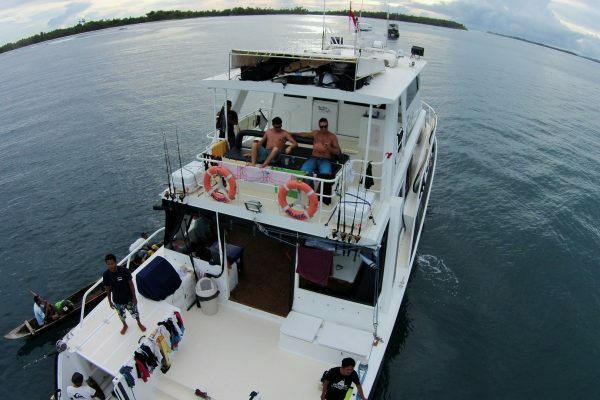 Is go time in the Mentawais, and from June to September it’s very hard to miss out on the best waves available on the planet. The source of the surf is low-pressure systems in the southern Indian Ocean when send ground swells thousands of miles across the open ocean. This is the most consistent time. I was on the recent charter with the Pelagic which returned on the 24th of October. I would like to congratulate you and your team on the great service. I was really impressed with both Mat and the Indo crew. The staff were always busy, showing initiative, and constantly thinking about and focused on the client. There were many small touches of service that really added to our holiday, ensuring we were chasing and on the best breaks and always comfortable. I do not normally go out of my way to provide feedback, but I thought this time I had to pass on my thanks and let you know I think the team are doing a great job. April 2016 – Hi Alan, Just wanted to give you some feedback on our trip. 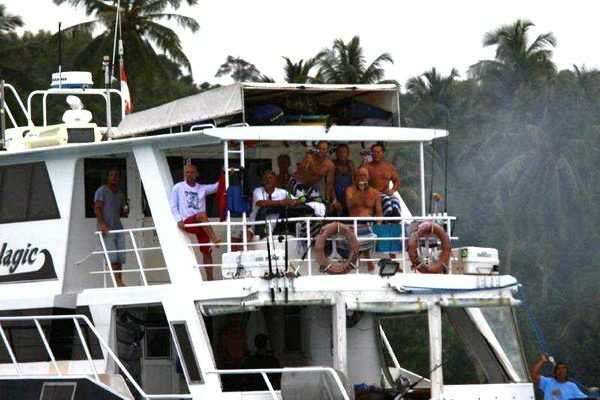 Everyone of us onboard had the best trip that we have ever been on. That included one of the boys on his 9th trip to the Ments. The boat it is amazing and so well set up. The crew were absolutely outstanding, especially Nito. When we lost Luke with his injuries, Nito really stepped up to the plate and took on the role of skipper and surf guide. Everyone was happy with the decisions he made and the information he gave us if there were multiple options. 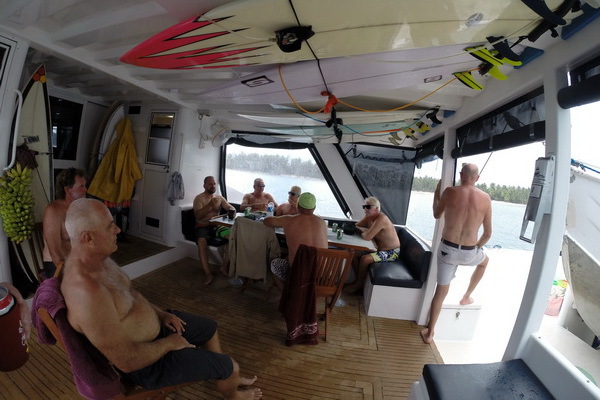 Obviously it helped that we had swell for the whole trip but we managed to get uncrowded waves and clean conditions nearly every day. August 2013 – Good day Alan, Hope all is well, Just want to say, hands down my best boat trip ever!!!! Anyways , please send me a list of dates open 2014, want to put my own trip together. 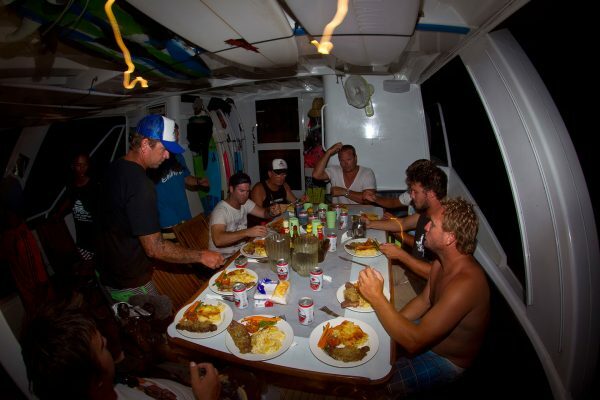 Thanks again, Danny North and the the crew was epic, Bruce Arledge jr.
April 2013 – Alan, it was a great trip. 2 days at Macaronis with mild crowds and then a day surfing Roxy’s alone were the highlights. Mike is a real asset to that boat, skilled in many regards and man he is a great captain. The Indo crew was also excellent. That is one beautiful boat. 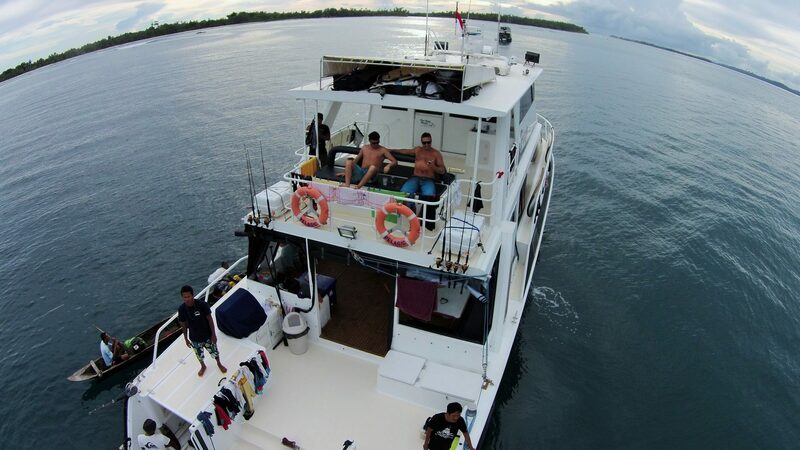 The only thing it needs is a roll-out canopy up front so you can hang out on the bow in the shade to watch the surf. Can’t commit to 2014 but hey you never know and I hope to come back soon.